Let’s face it guys you don’t like your lady to look like Skeletor. You don’t mind if she takes a second trip through the buffet at Golden Coral. If this is you then you have to buy this git! Perfect for travel and everyday wear, you?ll look good and be comfy in these stylish PajamaJeans. 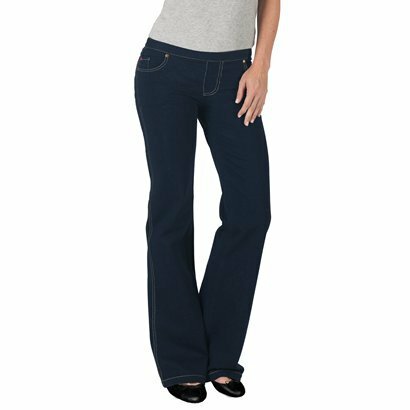 With super-soft, stretchy material, a modern boot cut and attractive seaming, the PajamaJeans are sure to flatter any figure. Order yours today– but you’d better hurry Christmas is right around the corner. I bet you can’t wait to see the joy on their faces when they tear open the package and finding a PJ Jeans. Well look at it this way, it’s not a can of Simonize!